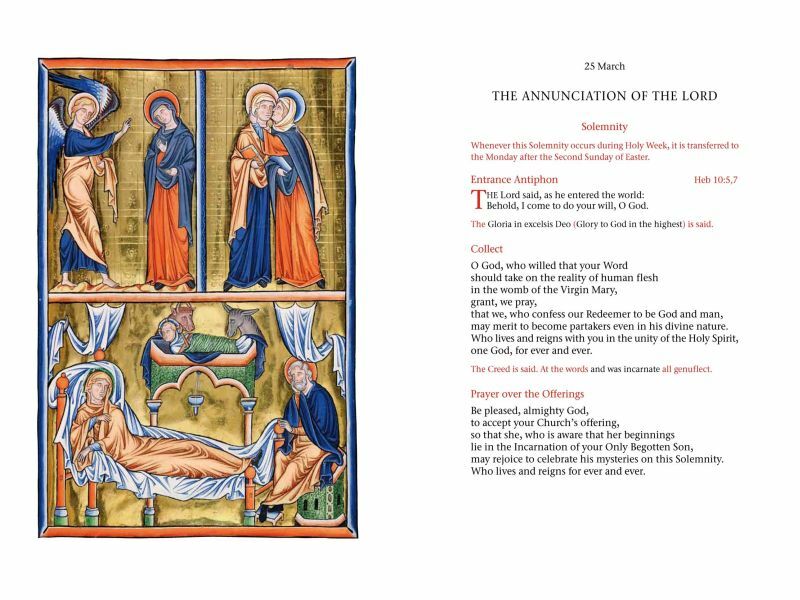 The CTS Catholic Compass blog has released the above a sample spread from the Missal which will have the new (corrected) translation of the Mass. I was hoping that the Missal would have such images. In previous editions of the Missal the images have been disappointing - and this includes the Latin Editio Typica. As a priest who uses Missals for both the older and newer forms of the Mass, I have been struck by the way that good religious art enhances the Missal used at the altar. Looking at various hand missals for the faithful, on can see the value of good illustrations even in the line drawings that are used. They have been copied in various places on the internet and are now used in the production of many leaflets and handouts for the people for various purposes. I use them myself, for example, to illustrate the orders of service produced for Confirmation and first Holy Communion. For free images of this kind, see the Musica Sacra Flickr set and the CMAA Picasa collection. The centuries-old conciliar tradition teaches us that images are also a preaching of the Gospel. Artists in every age have offered the principal facts of the mystery of salvation to the contemplation and wonder of believers by presenting them in the splendour of colour and in the perfection of beauty. It is an indication of how today more than ever, in a culture of images, a sacred image can express much more than what can be said in words, and be an extremely effective and dynamic way of communicating the Gospel message. 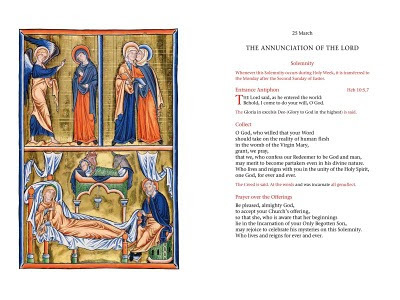 It is a joy to see that such fine images will be once again part of the Missal to be used at the altar.